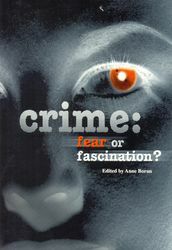 Home > University of Chester Press > Issues in the Social Sciences > Crime: Fear or Fascination? Anne Boran (Editor), Crime: Fear or Fascination? Papers from a conference organised for undergraduates at Chester College of Higher Education in November 2000. The papers examine four main areas: the role of the media in constructing public perceptions of crime; historical reactions to female deviants in society; social policies to tackle domestic violence; and fear of crime in the community.